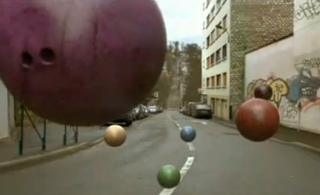 Everybody remembers Sony's Bravia Bouncing Balls comercial where colorful, inoffensive bouncing balls dance across a city street, right? Nissan remixed that spot a few months ago and replaced the bouncing balls with bowling balls. Yes they did. Watch the damage here.